Peaches are one of my favorite fruits, and they are in season here in the southern U.S., ripe and plentiful. When our local market had a spectacular one-day sale on them, guess who came home with a case? 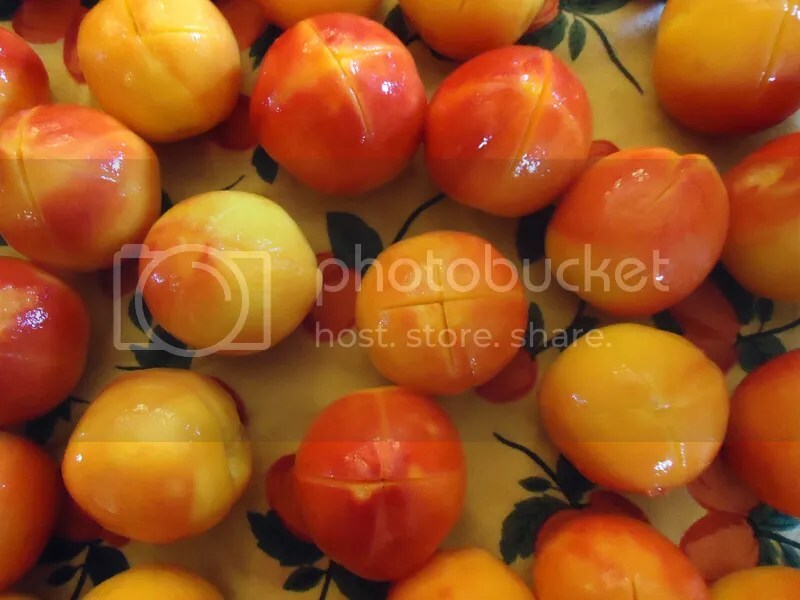 Eighty plump, juicy little beauties, to be blanched, peeled, pitted, and chopped, then transformed into double batches of Spiced Peach Chutney and Vanilla Peach Butter. Unlike more labor-intensive chutney, peach butter contains very few ingredients. And have no fear, you don’t need a crate full of fruit to make this recipe; in fact, it only requires twelve cups, or about 4-1/2 pounds. The result is a spoonable preserve, packed with sweet, tangy flavor. The addition of vanilla bean and ginger result in a scent and taste much like peach cobbler, minus all that pesky pastry work. In a large, wide-bottomed pot over high heat, combine peaches, sugar, lemon juice and zest, and grated ginger. If using whole vanilla beans, split them length-wise with a sharp paring knife, and add them now. 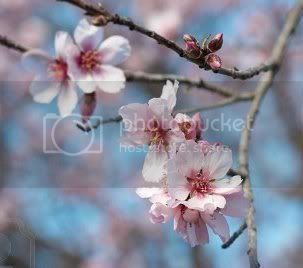 Bring fruit mixture to a boil and cook for 10-12 minutes, until peaches soften and release their juices and vanilla beans empty their seeds. Remove from heat, cool, and then refrigerate overnight, or up to three days. (If using vanilla bean paste, stir it into the peaches before refrigerating.) This rest period gives time for the vanilla and ginger flavor to develop and infuse the peaches. 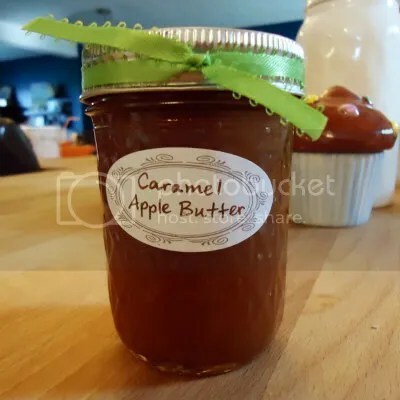 If you’ve made my recipe for Caramel Apple Butter, this routine is exactly the same. (For canning, I use a 21 1/2-quart water-bath canning pan and rack, available for less than $20. I also use a set of silicone-lined jar tongs and a wide-mouth funnel, available individually or as part of a set.) While the peach butter reduces, use the water-bath canning pan to immerse six half-pint jars in water and heat for ten minutes. This heats the jars enough that the hot peach butter won’t crack the glass. Remove them and place upside-down on a clean dish towel to dry. Just before filling the jars, dip the lids and bands in the water long enough to soften the adhesive — less than a minute will do it. Once the peach butter reaches 215F and is reduced by half, use a wide-mouth funnel to fill the heated, dried jars, leaving 1/2″ of space at the top of each jar. Screw on the bands and lids, then process your jars by immersing in boiling water bath for ten minutes. Remove the sealed, processed jars to allow them to cool. When the lids make a popping sound, you know they’re sealed tight. Unopened jars of peach butter can be stored at room temperature for up to six months, but they should be refrigerated after opening. If a jar doesn’t seal after processing and cooling, the peach butter is fine, but it should only be kept in the refrigerator. 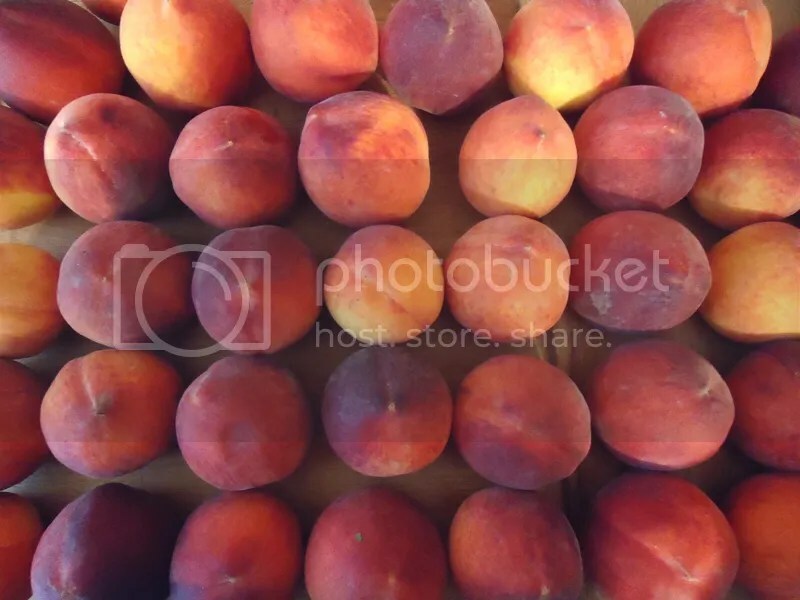 To quickly peel your peaches without losing any fruit or juice, the easy answer is blanching. Blanching is the process of briefly dipping fruit or vegetables into boiling water, then immediately immersing in ice water. The application of heat and cold loosens the skins so they are easily removed. And if your peaches are less than ripe, an extra minute in the boiling water can help sweeten and soften them. 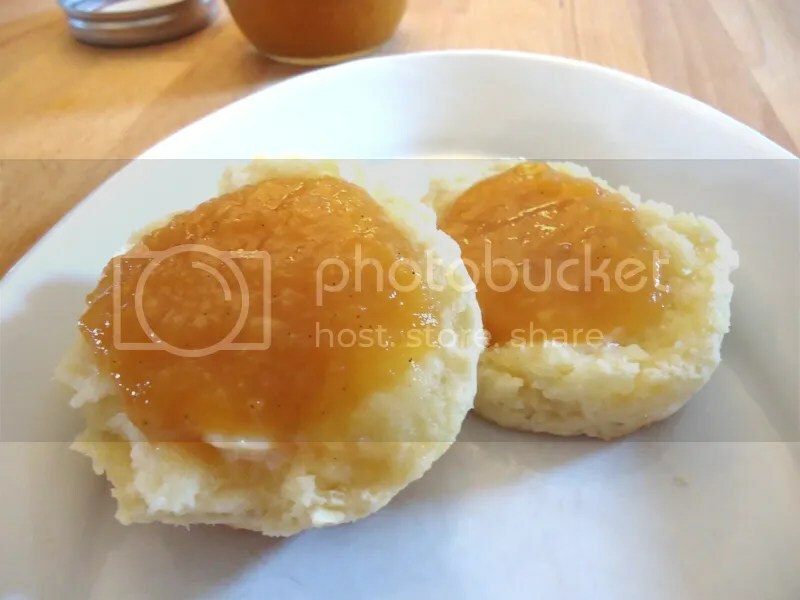 One last note regarding peach butter vs. peach jam: the primary difference between fruit butters and jam or preserves is the amount of sugar and the addition of pectin. Fruit butter contains a fraction of the sugar of jam and no added pectin to thicken it. 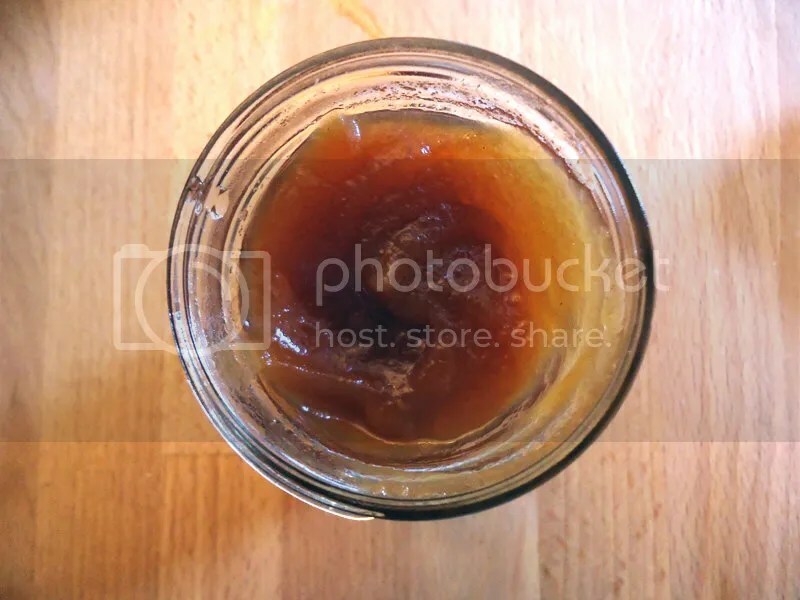 The result is a preserve that is more suited to spooning than spreading, but one that maintains more pure, concentrated fruit flavor and less added sugar. 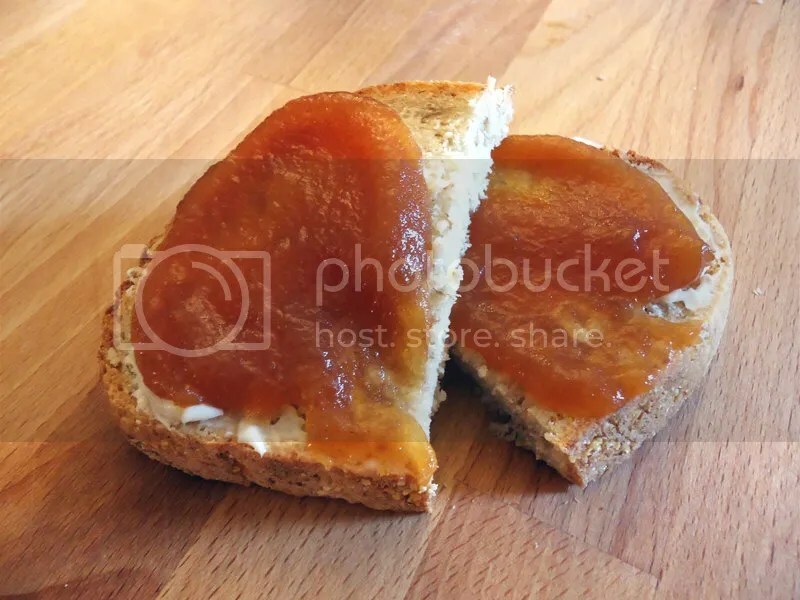 While not the case with all fruits, I prefer peach butter to peach jam every time because I can still detect the true taste and texture of the ripe fruit.